Fermented probiotic beverages are all the rage right now, and I am 100% on board! About a month ago I started making Homemade Water Kefir and it’s turned into a fun little hobby with amazing health benefits. My family really enjoys the tangy, fizzy drink that is chock full of probiotics and other nutrients. Making water kefir is much easier than I ever thought it could be. You might be familiar with milk kefir. 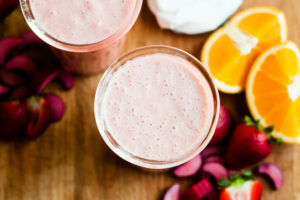 The fermentation process is basically the same, except instead of lactose in milk, the beneficial bacteria uses sugar dissolved in water to create a delightful probiotic beverage. Milk kefir grains cannot be used to make water kefir, and vice versa. And milk kefir has way more probiotics and health benefits, but we like water kefir as a healthy alternative to soda. I purchased my water kefir grains from Cultures For Health. They come freeze-dried and require several days of rehydration to activate them. 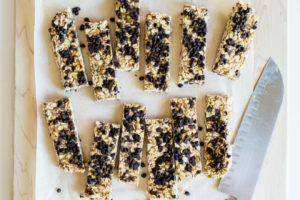 If you’re on the look out for kefir grains (water or milk) check local health food store bulletin boards, Craigslist, and through social media. I find people are more than happy to share. 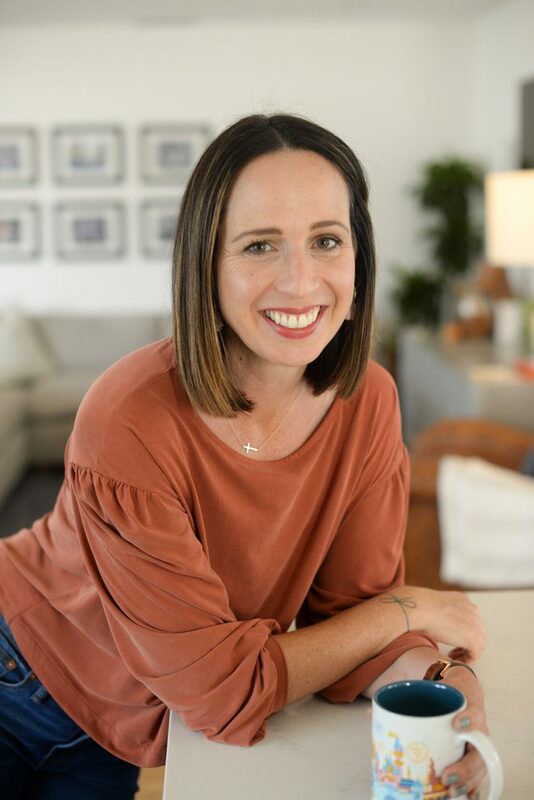 There are even Facebook groups where members share cultures and information about fermenting kefir, kombucha, vinegar, and other probiotic beverages. The process is as easy as can be. Once it gets going you’ll have a new batch of water kefir every other day or so. I like to do a second fermentation which results in a bubbly “soda,” but that’s an optional step. It’s perfectly fine to drink after the first fermentation. The kind of sugar and water used matter a lot. The culture readily consumes plain old white sugar, but requires more minerals to maintains the health of the kefir grains. 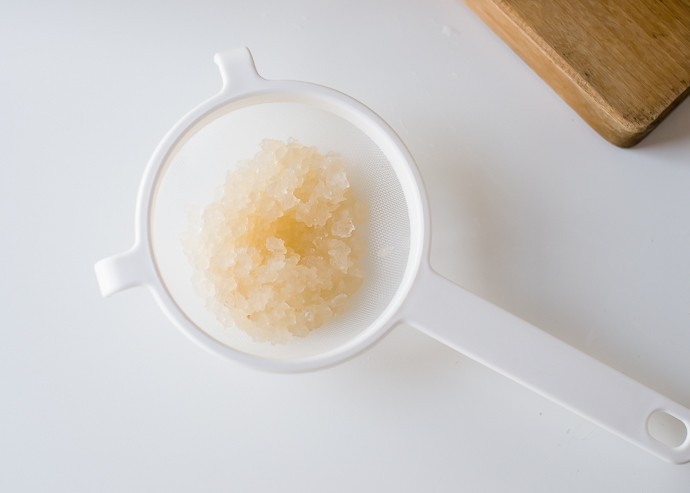 Raw sugars such as evaporated cane juice, turbinado, jaggery, or sucanat are recommended. If I use white granulated sugar, I make sure it’s cane sugar, preferably organic. Honey has its own enzymes and other things that may interfere with the fermentation process, so it’s best to stick with sugar. 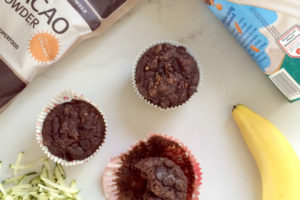 Maple syrup and coconut sugar, or other natural sugars might be okay, but always let the grains rest and rejuvenate in plain sugar water occasionally or they might stop working or die off. I do know of people who have successfully used honey, maple, or coconut sugar effectively, but if you’re a beginner, start with sugar. 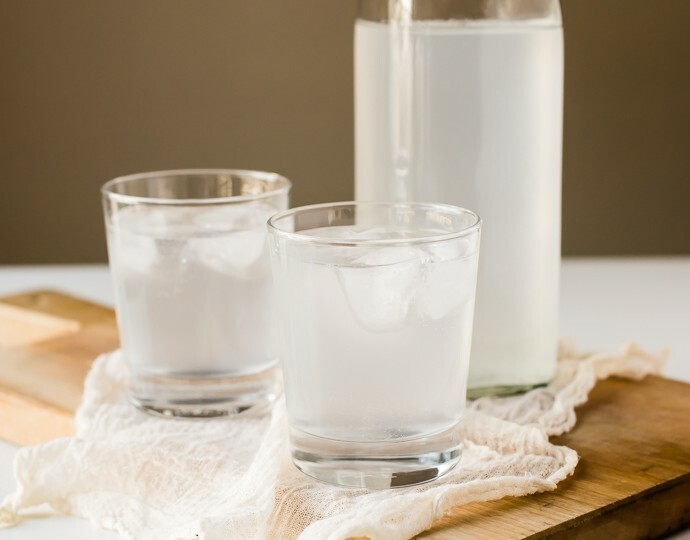 Tap water often contains chlorine, fluoride, and even lingering pesticides which can harm the kefir grains. 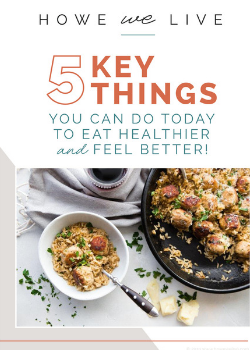 I have a reverse osmosis filter in my kitchen, which works fine, but I do add a pinch of sea salt in with the sugar and water for the added minerals. 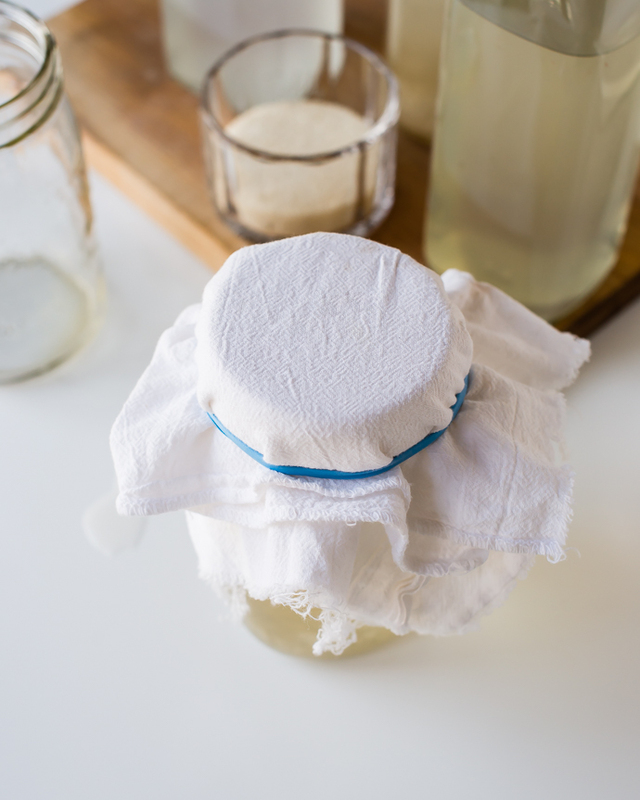 Whatever you do, keep the jar covered with a cloth or paper filter to prevent fruit flies, ants, or other unwanted pests. Fruit flies are the biggest concern. 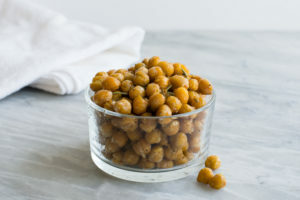 They love the sweet, fermented liquid and will quickly take residence in an open jar. Cheesecloth is not recommended because the weave isn’t tight enough. I use pieces of flour sack towels and a rubber band. 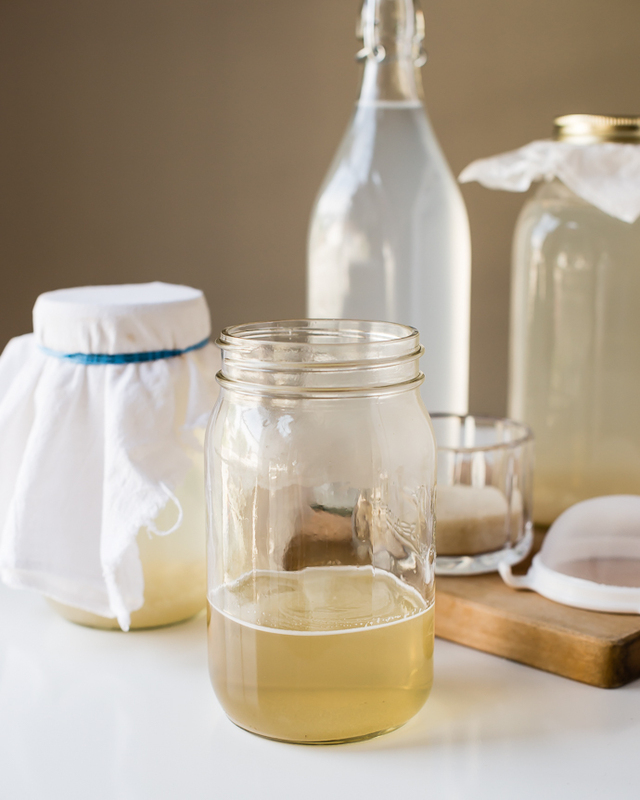 How Long Do I Let My Water Kefir Ferment? Fermentation time varies a little, but typically 24 hours is sufficient for the first fermentation; maybe 48 hours if the room temperature is on the cooler side. It’s important to keep feeding those grains, so anything beyond 1-2 days may actually injure them. 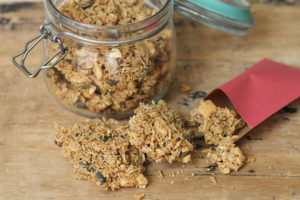 I know people who ferment for longer, but add a little sugar each day to keep the grains active. I did leave some to ferment for 5 days as an experiment and the grains recovered, but I wouldn’t let that become a habit. A second fermentation is optional, but will result in a fizzy “soda” that is utterly delightful. The second fermentation is done without the kefir grains. They are filtered out and a new batch immediately started. For the second fermentation, fruit or fruit juice, herbs, or spices can be used to flavor it. I usually use about 1/4 cup of 100% juice for every 1 quart of fermented water kefir. How Long Does Water Kefir Last in the Refrigerator? 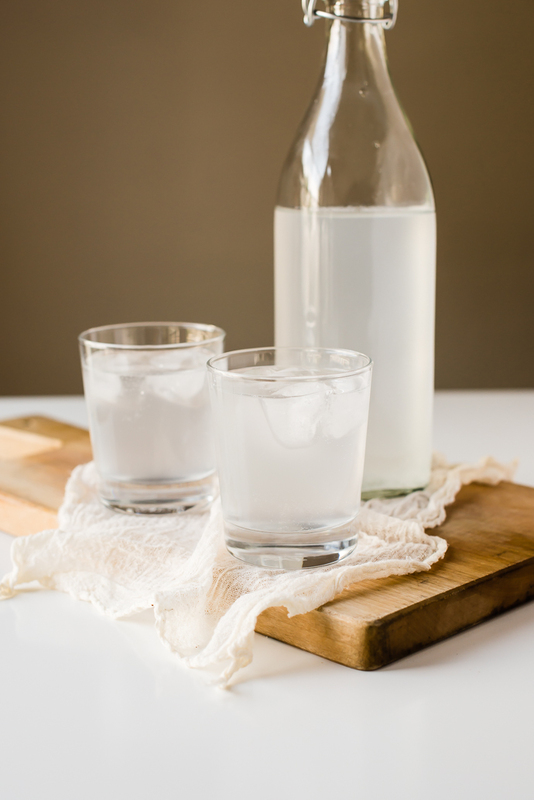 You can drink the fermented kefir water right away or store it in the refrigerator. Ours never lasts longer than 1-2 days because we are always drinking it, but it should last 2-4 weeks. Do be careful and “burp” the bottles so they don’t explode. I have only had that happen once because I forgot to stick the bottle in the fridge at bedtime and we woke up to a GIANT mess. Once you get going on the water kefir, it can seem a bit overwhelming. The grains will grow and reproduce. To halt the fermentation process for a short amount of time (less than a month), the grains can be refrigerated in the sugar water solution. Change the sugar water every so often, but the grains should be just fine. For longer storage, it’s recommended that the grains be dehydrated. Freezing is not recommended. 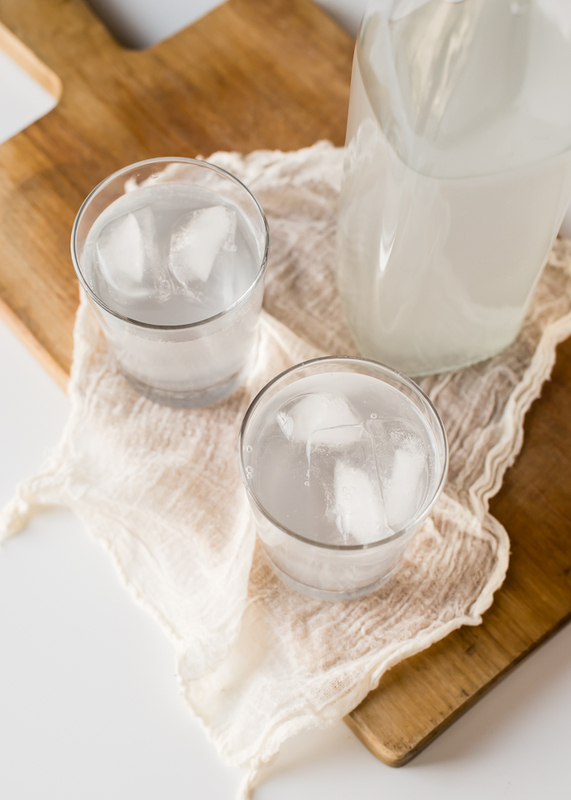 What Does Water Kefir Taste Like? 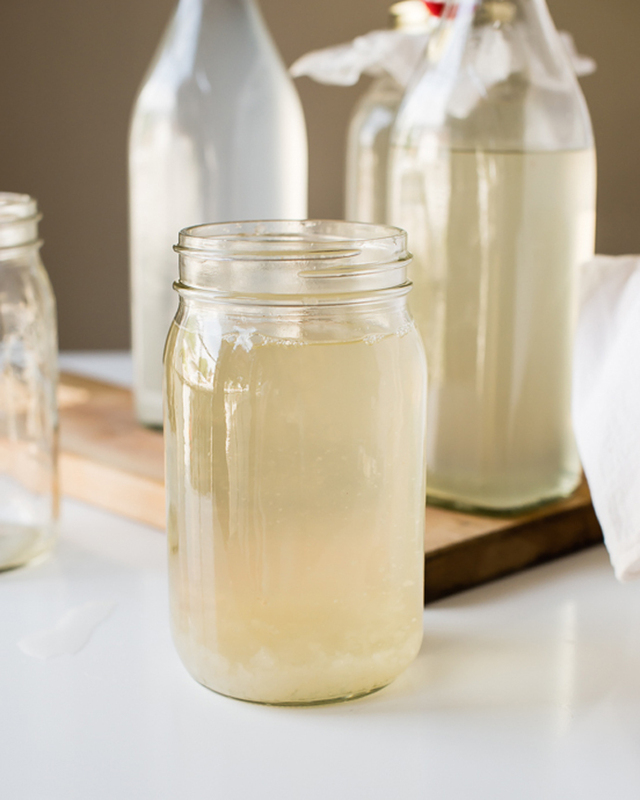 The water kefir should have a nice, yeasty or yogurt-y kind of smell to it. If it smells sulfury or “off” it’s best to toss it out and start with fresh sugar water. It’s very rare for mold to grow on the kefir. There might be strands of yeast, however, which is totally normal. I have included a printable recipe and directions below for making your own Basic Organic Water Kefir, at home. 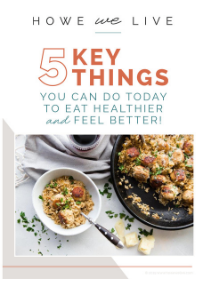 If you make this recipe, let me know how it turns out for you! 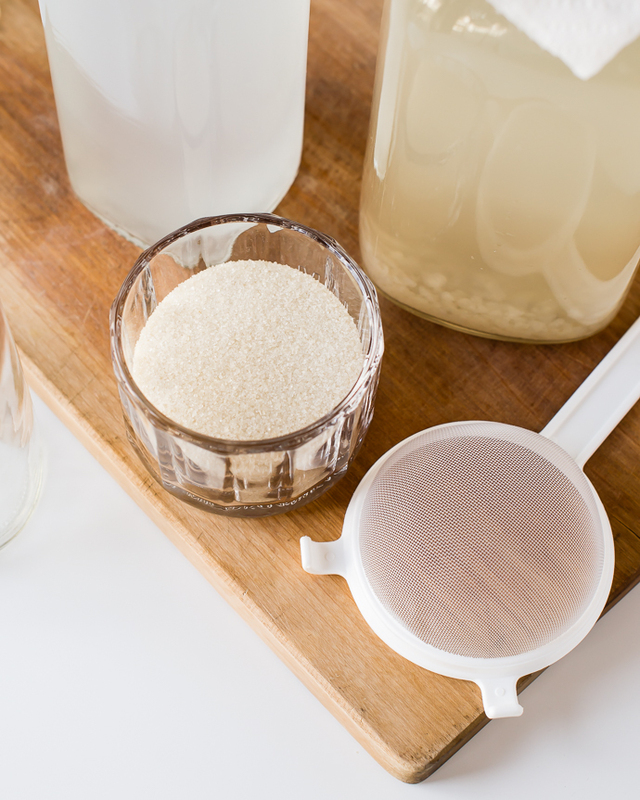 Learn how easy it is to make homemade organic water kefir. Wash and sterilize a quart-sized jar. Warm 1 cup of the filtered water and dissolve the sugar in it. Let cool to room temperature. 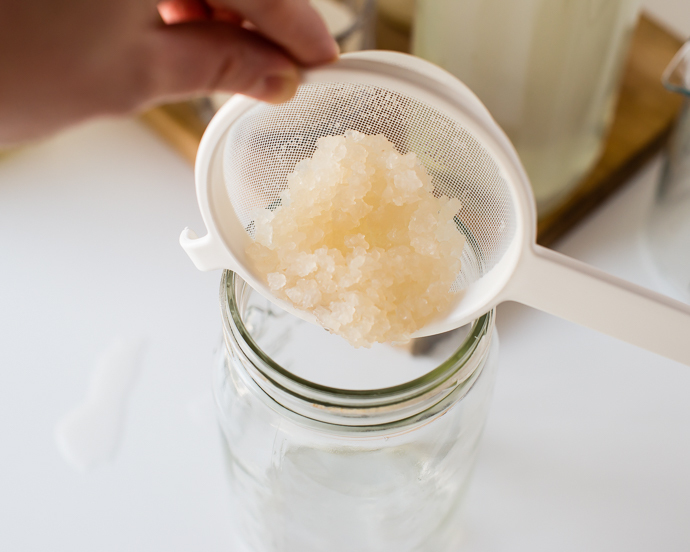 Transfer to the jar, add kefir grains, and remaining filtered water. Cover jar with the cloth or coffee filter and secure with jar ring or rubber band. Place jar in a warm corner or cupboard away from direct sunlight. 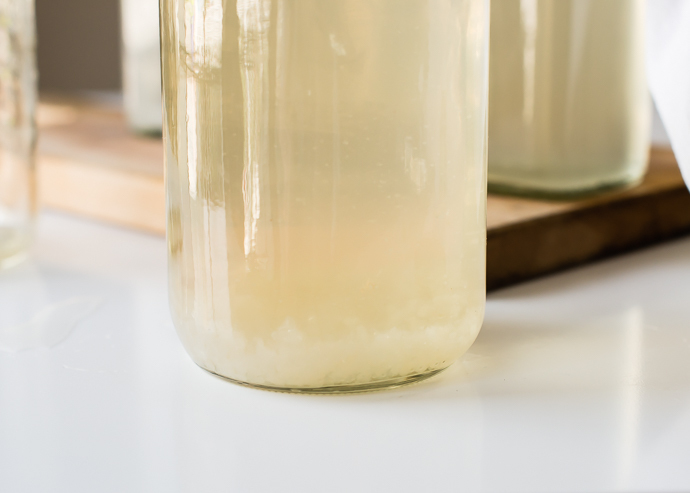 Allow to ferment for 24-48 hours; the water kefir will ferment more quickly in warmer temperatures and during the summer. Bubbles will be visible rising from the bottom to the top of the jar as soon as a few hours, but the longer it ferments, the bubblier it will become. 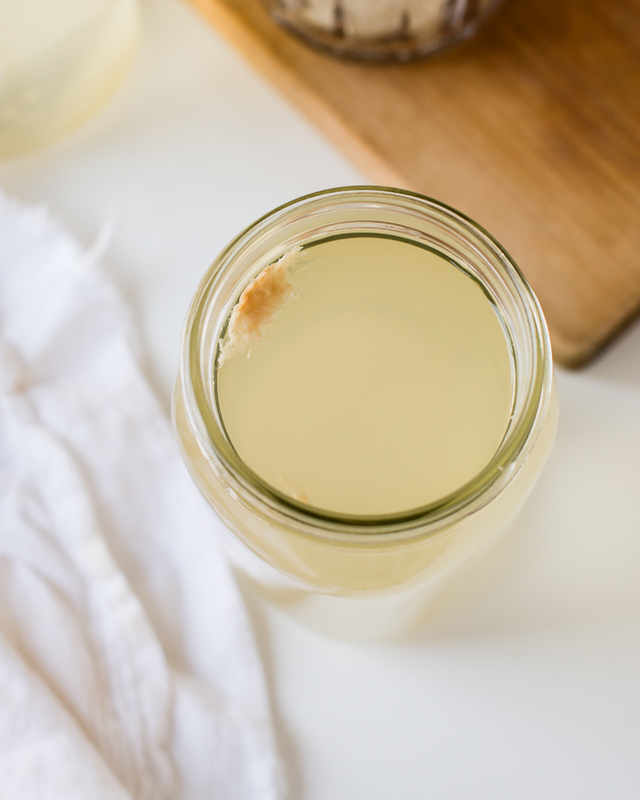 Strain out the water kefir grains to make another batch. 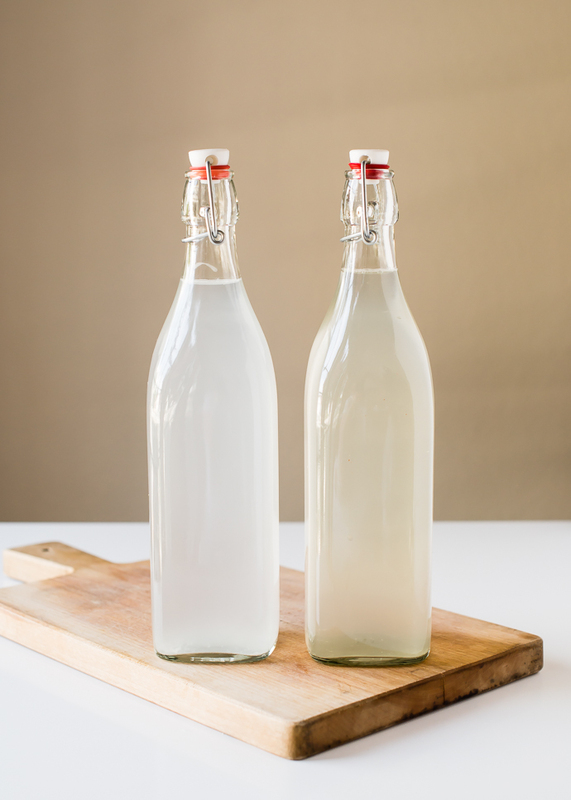 The water kefir can be consumed at this point, or bottled for a second fermentation. For flavored water kefir, add 1/4 cup of pure fruit juice or diced fruit into the bottle then add the water kefir. Seal the bottle tightly. Let ferment an additional 24-48 hours. Crack the seal of the bottles at least once a day to prevent pressure building up. The kefir is ready to drink. Store in the refrigerator. I’ve got to try this… would be a great summer drink here in Maryland. Also, beautiful photos!